Are you ready to transform the way you support your small and medium-sized business (SMBs) clients? 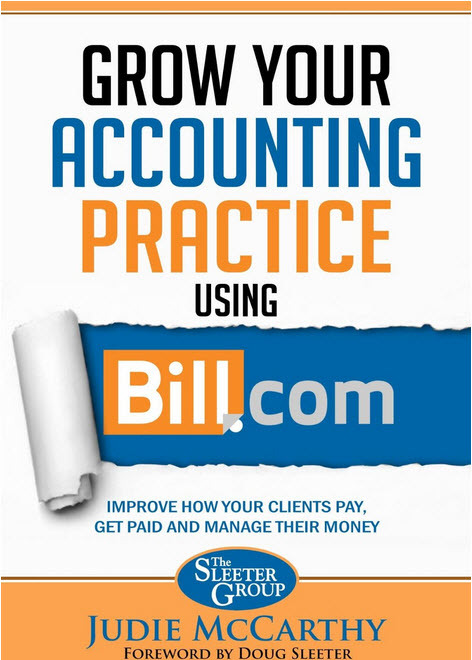 In Grow Your Accounting Practice Using Bill.com, Author Judie McCarthy helps accounting professionals realize the hidden power of Bill.com, an application that transforms how your clients pay and get paid. This cloud-based application is more than a bill payment system, it is a tool that can manage all functions related to accounts payable (AP) and accounts receivable (AR). This book offers advice on using Bill.com to help you take your accounting practice-and your clients- to the next level. From getting started to integrating with accounting software, you will learn how to be a hero to your clients as you transform how they manage their money.